An amazing adventure awaits, as the author acquaints you with awesome alliteration! 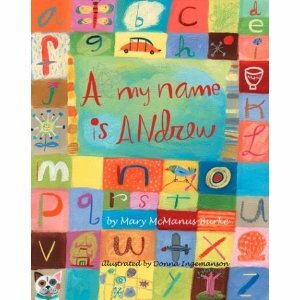 Author Mary McManus Burke takes you and your child on a delightful stroll through the alphabet in her book, “A my name is Andrew,” from All About Kids Publishing. This charming alphabet book goes beyond the typical ABC picture books. Through wonderfully intricate illustrations by Donna Ingemanson and the author’s highly creative use of alliterative text, the reader is taken on an anything but ordinary trip through the alphabet. Each new letter introduces your child to a variety of new vocabulary words. As a teacher and a mother, I loved the opportunities for learning this book created. Your child will become familiarized with new places, words, and characters. Every page is chock full of rich language and wonderfully silly prose. Your child will enjoy the bouncy pacing, detailed illustrations, and the new friends they will meet along their journey through the alphabet. You will meet Paloma from Pueblo (who practices the piccolo in the pink parlor), and William from Whitefish (who woke to a winter wonderland.) Your child will learn words like kumquat, hemisphere, terrace, and jaunt. Each page is not only interesting and engaging, but educational and language-rich. As a teacher and a mother, I highly recommend this book, “A my name is Andrew” by Mary McManus Burke for your child. You can find the book online at the All About Kids Publishing website for the low price of $16.95 (for hardcover!) This book would be a wonderful gift for a child in preschool-3rd grade (or for a classroom teacher!) 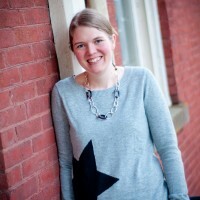 Check it out…it’s Supermom recommended!